This tutorial explains how to install Komodo Edit on Ubuntu 18.04. Komodo Edit is a programming text editor and available free for Ubuntu and other Linux operating systems. 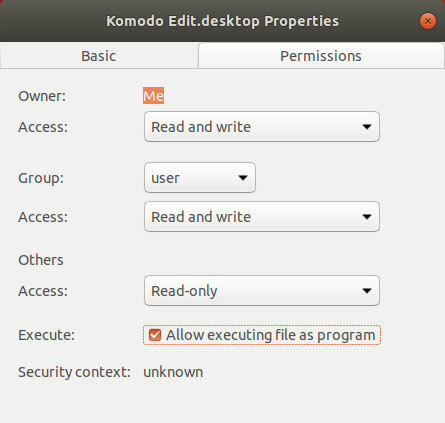 Download Komodo Edit for Ubuntu - Go to the Komodo edit download page and download the Linux Package. Extract the tar archive file - After the download is finished, extract the tar file. After the installation process is complete, add "komodo" to your PATH variable. 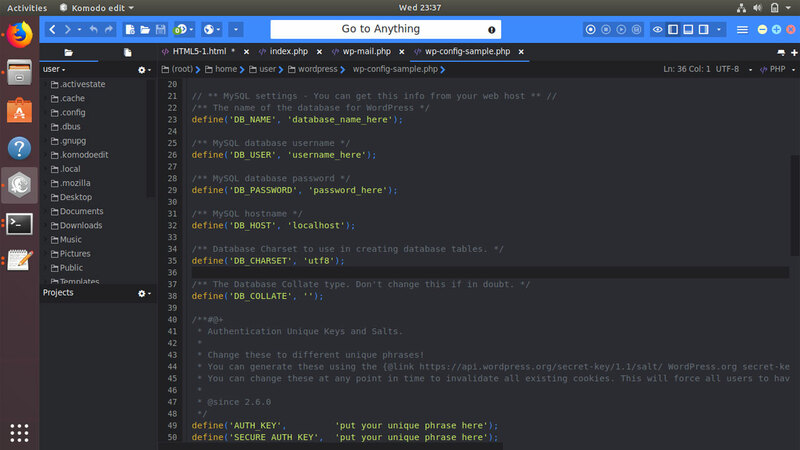 Comment=Free multi-platform editor that makes it easy to write quality code. Next, right click on the desktop file, Go to Properties > Permissions and check: "Allow executing file as program". After that, double click to open the desktop file and click "Trust and Launch".